Bambi finished with three five point majors, one BOS and two BOB over BIS specials, at supported entries plus a Hound group 2nd. 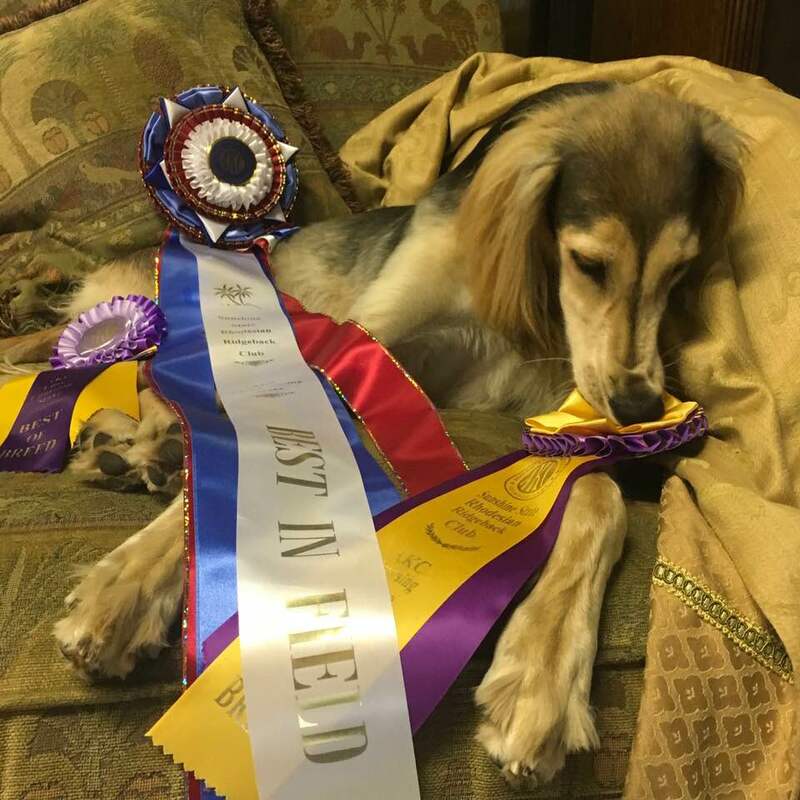 Bambi also finished her Field Championship with three 5 point majors: three BOBs and two Best in Fields in four trials---one of them Day 2 of the AKC National Lure Coursing Championship. 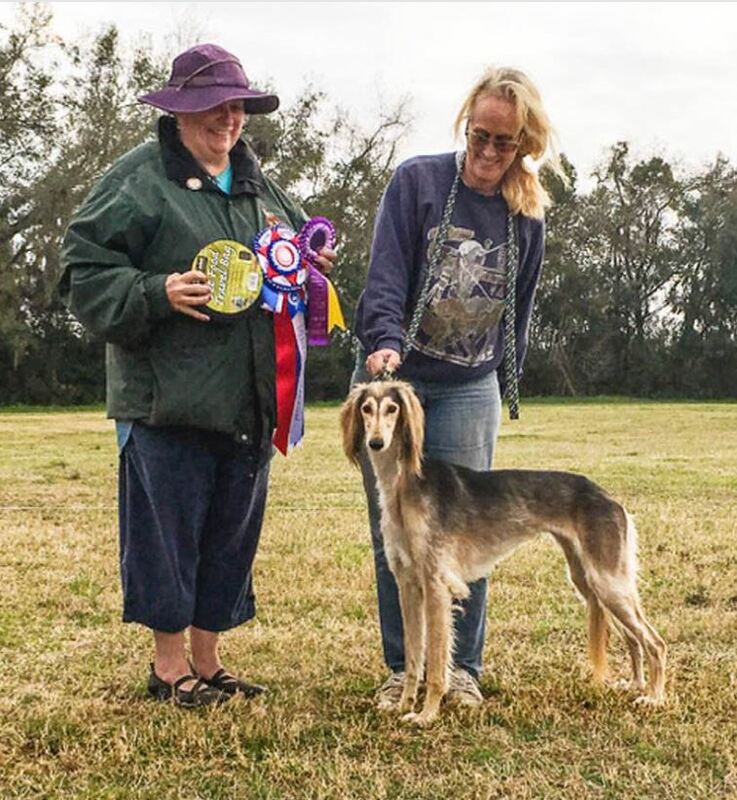 She tied with kennelmate Icon for the NLCC breed winner. 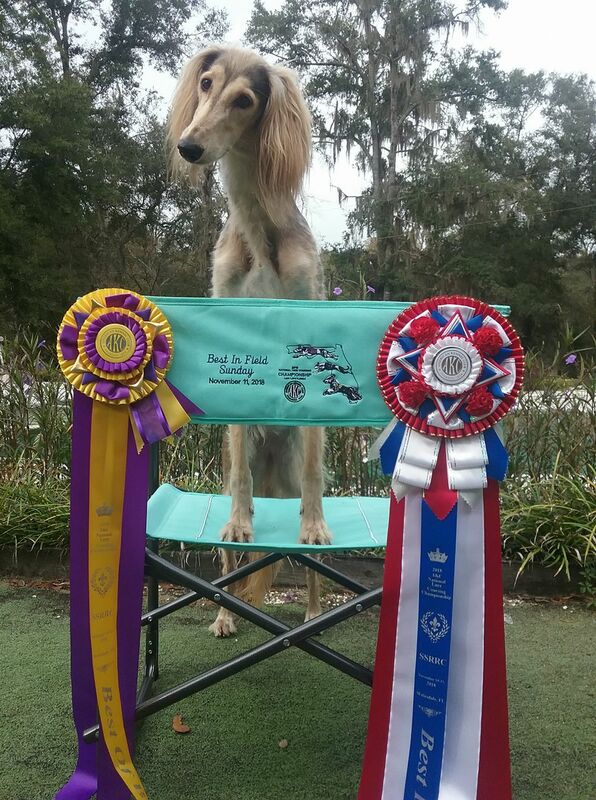 She also finished in the Top 10 of AKC lure-coursing salukis for 2018. She went BIF at her first AKC trial as a special for another 5 point major. 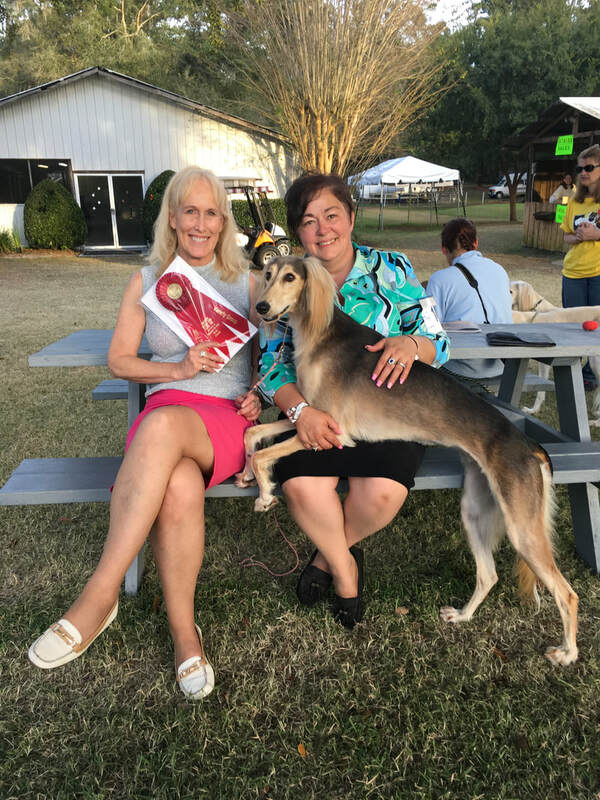 Bambi is from the breeding of Pepe to Demi (MBIS NSBIS MSBIS GCHS Baghdad A MissDemeanor), bred by Scott Pfeil, James Donahue, Lyndell Ackerman and Aaron Chato. ​Her friends call her "Sharknado" which is a better fit to her personality than is Bambi! She shows better for our friend Rachel Rehberg than she does for me, so Rachel showed her to most of her wins and will special her occasionally in 2019. Bambi will be our 2020 special.